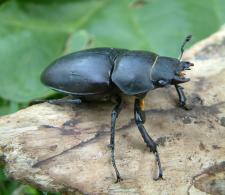 Stag beetle puzzles, quizzes, videos, etc. If you have trouble making these puzzles, please get in touch with me. 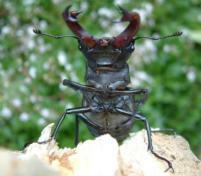 Stag beetle tasting liquid that came out of a snail shell. For more click here.